Half of all marine life has been lost in the last 40 years. By 2050 there will be more plastic in the sea than fish. The way the ocean operates is different to how we thought of it 100 years ago. We can no longer think of it as a place of limitless resources, a dumping ground, immune to change or decline. 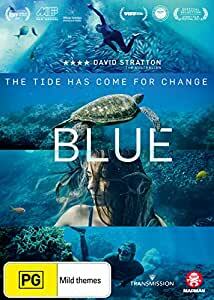 BLUE takes us on a provocative journey into the ocean realm, witnessing a critical moment in time when the marine world is on a precipice. 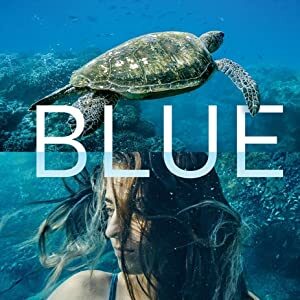 Featuring passionate advocates for ocean preservation, BLUE takes us into their world where the story of our changing ocean is unfolding. We meet those who are defending habitats, campaigning for smarter fishing, combating marine pollution and fighting for the protection of keystone species. This feature documentary comes at a time when we are making critical decisions that will decide the legacy we leave for generations to come. BLUE shows us there is a way forward and the time to act is now. The tide has come for change. For all intended purposes, this was Derek Jarman's final film, one of his best and one of the most unique films in the history of cinema. It is simply a blue screen for its entire running time (except for opening and closing credits). It has one of the most moving, meticulous soundtracks that I've ever heard. Jarman was blind from AIDS complications at the time he made this film, so all he really could do was hear, but he was such an amazing artist (and a wonderful man by all those who knew him) that he managed to create something poetic, beautiful, and incredibly unique through one image and a complex soundtrack. The film is rather sad as well, it being Jarman's last and not as visually kinetic as his other films are. Nevertheless, this is essential viewing for everyone.